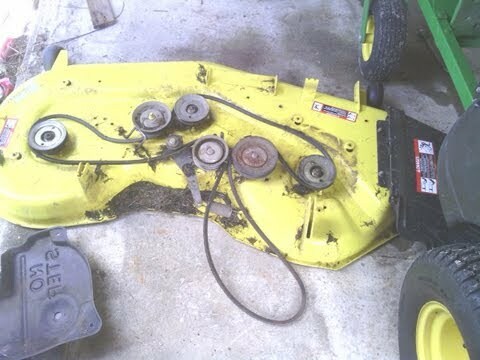 I'm trying to replace a drive belt on an L120 auto lawn mower. Everything looks pretty straight forward except for the removal of the steering shaft. It looks like the belt has to go to either side of the shaft but it is not obvious to me how get this shaft out of the way. Any advice?